The universities to be given the biggest slice of the pie this year are all in Moscow. 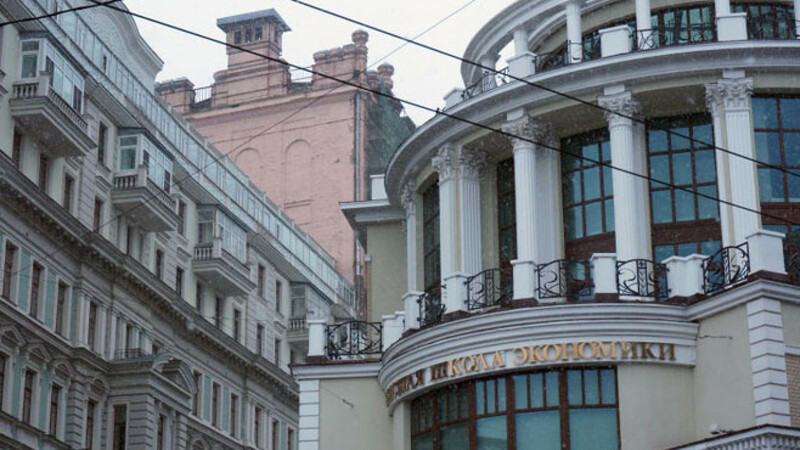 The city's Higher School of Economics will get 950 million rubles ($27 million). The government on Monday announced that it will split 10.15 billion rubles ($295 million) between 14 universities this year to help improve their standards amid an ongoing cull of the country's worst performing educational institutions. The grants are being distributed as part of the government's "Development of Education" program. Last year, a total of $253 million was dished out to 15 universities that successfully applied for subsidies in an open competition. Russia is currently struggling to compete with foreign institutions — Moscow State University was the only Russian university to make it into the Times' global top 250 list for 2013-2014. The universities to be given the biggest slice of the pie this year are all in Moscow. The city's Institute of Physics and Technology, the Higher School of Economics and the National Research Nuclear University MEPhI, will each get 950 million rubles ($27 million), according to a decree published Monday on the government's website. Novosibirsk State University, the St. Petersburg National Research University of Information Technologies, Mechanics and Optics, the Moscow Institute for Steel and Alloys, and the Ural Federal University in Yekaterinburg will be handed 775 million rubles ($22.5 million). The remaining seven universities will get 600 million rubles ($17.5 million) each. The news of the funding allocations comes on the same day that the Federal Inspection Service for Education and Science announced in a website statement that it had revoked the licenses of another four universities for a range of violations. The number of revocations has skyrocketed since last September when a law came into effect that sanctioned both planned and snap audits of the effectiveness of various institutions in an effort to improve education standards in Russia. Between Jan. 1, 2014 and June 20, 2014, 132 universities were stripped of their licenses for a variety of reasons. Three revocations were court ordered, 17 institutions lost their licenses amid reorganizations, 21 licenses were given up voluntarily following inspections by the regulator, and 91 were shut down voluntarily without undergoing checks.